Use your device’s photo album or camera or a large number of free packaged images to play this one of its kinds Magical JigSaw. With its cool Magical theme and lots of options that make it easy for you to enjoy magical world of jigsaw puzzles. Goal of Mazigsaw is to assemble the jigsaw pieces to solve the puzzle. Mazigsaw features a Magical Hat which allows you to magically store your puzzle pieces in and take them out when needed. This cool feature helps you see the assembly board better and reduces the clutter of the puzzle pieces which could be confusing at times. 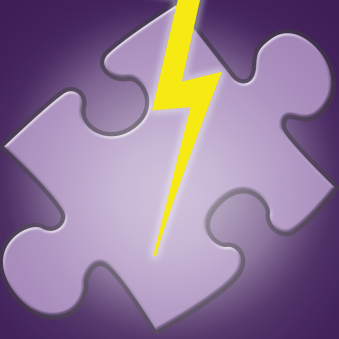 In addition, Mazigsaw features several Magical powers which will help you with puzzle assembly. Mazigsaw is for people of all age groups. Mazigsaw offers Classic version where you can put the puzzle together in leisure. Pause feature will allow you to continue your game at a later time. Timed version provides you with the challenge and excitement of beating the Timer.